On the long drive from Denver to St. Louis, my daughter and I stopped in Hays, Kansas for lunch. 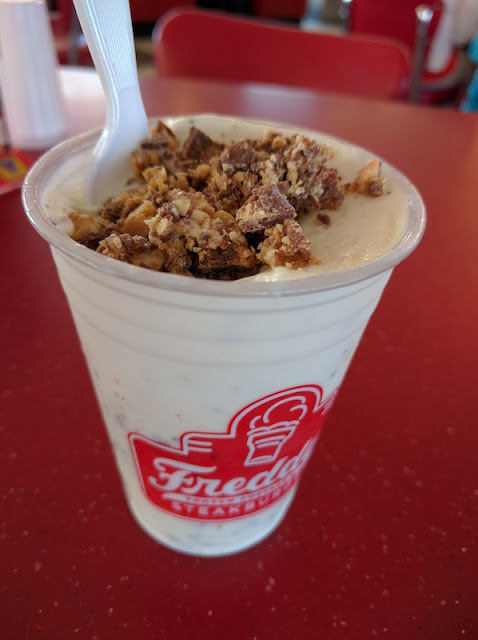 And we got lucky when we discovered Freddy's Frozen Custard & Steakburgers. Ice cream and hamburgers? Sounds good to us! I haven't had a green chile burger this good since I had one at Blake's Lotaburger in New Mexico. And it was really good! 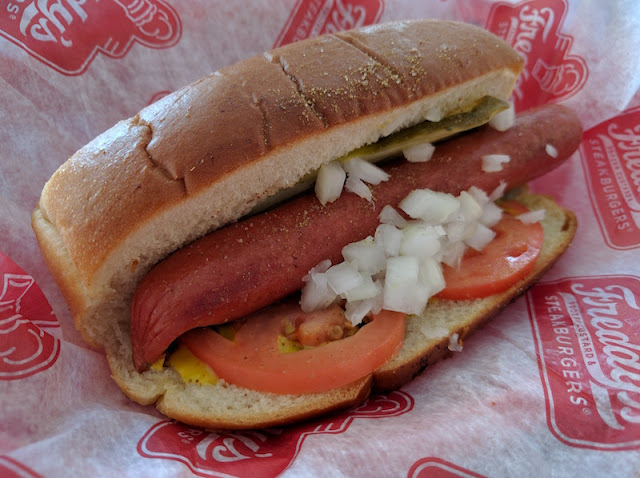 My daughter had the Chicago dog which was beefy and loaded with pickles, onions and tomatoes. Fry sauce is served for dipping your french fries. It's the perfect complement for them, and it's something I wish we had at the foodie places back in California. 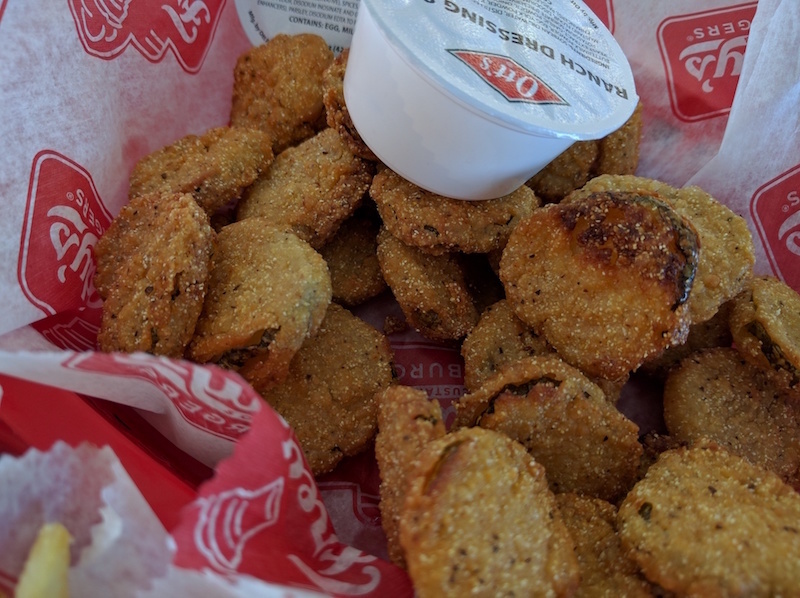 We couldn't pass up a side of fried pickles. There were crisp and hot. We really liked them. So how's the custard? Delicious! It's so thick it's called a concrete (like they call the frozen custard at Ted Drewe's). My daughter had Snickers, and I had Butterfingers. 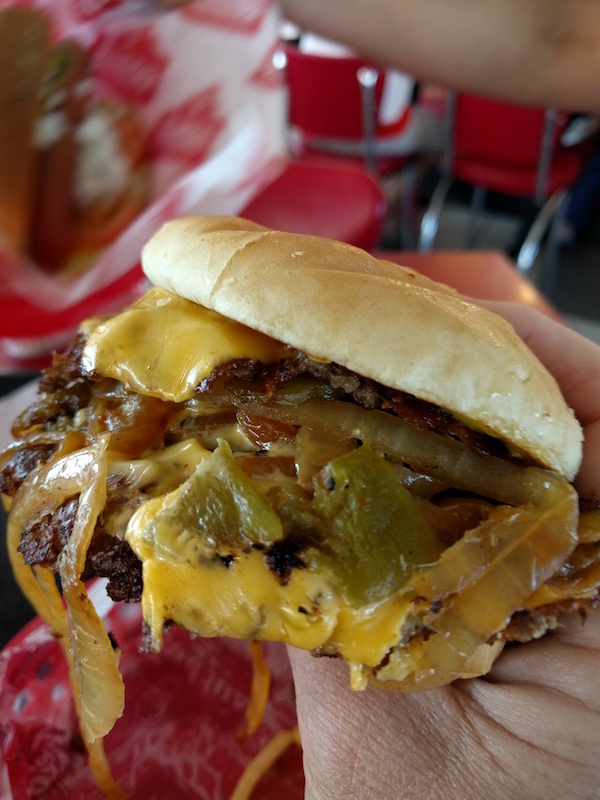 Freddy's is exactly the kind of place that makes a road trip so much fun. It's not something we have back in California so it makes for a special lunch when you're traveling. Visit the Freddy's web site for hours, locations, and menus.